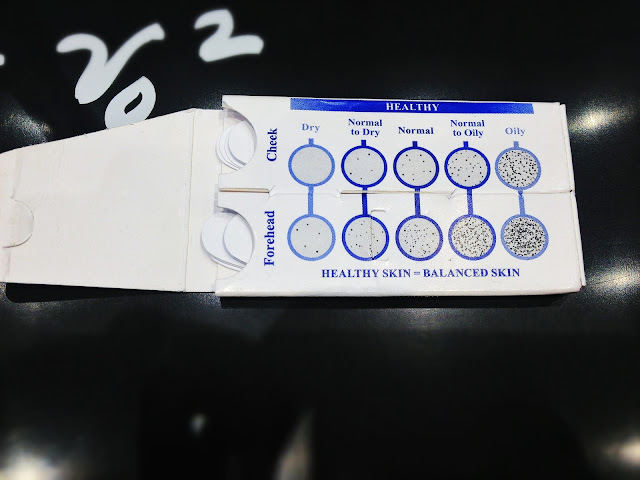 My skin was dry (there's no surprise to that), it had always been bordering to dry to sensitive and normal to dry. 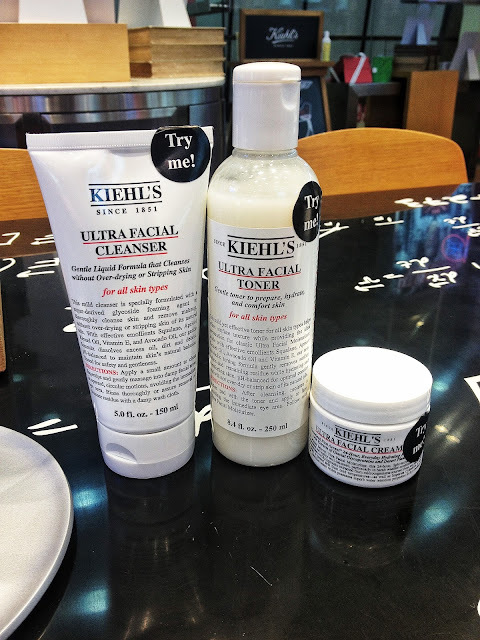 Kiehl's Ultra Facial line was recommended to me. For normal to dry skin, it is recommended to incorporate the use the ultra facial line to improve the skin condition. Mitch gave me samples of the line so I could try it at home and observe the results on my skin. For my morning routine, I was advised to use the cleanser, toner and cream. Slaterring on SPF is still necessary. 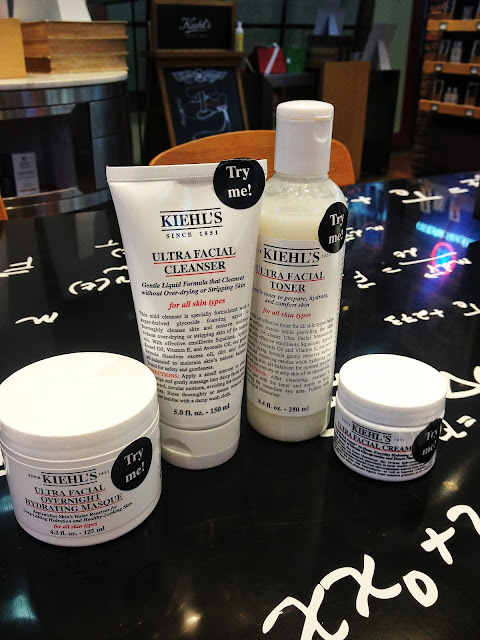 For my night regimen, I was advised to use the cleanser, toner and my usual night cream. The mask can be used once or twice a week for treatment. Later on that night, I tried the facial cleanser, toner and masque. The cleanser was gel-type so less foaming appeared, but I observed that my makeup was coming off. The cleanser felt weird, because you wouldn't have the squeaky clean feeling (like all the oils in your face was stripped off). After cleansing, I used the toner on a cotton pad, a size of a peso. Then I tried the masque and massaged it all over my face. The masque felt heavy and I had a bit of tingling sensation after application. I got worried because that is my go-signal for formation of hives (allergic reaction). But after a few minutes, it subsided and no hives formed. It felt sticky, but I was fine with it because that's how masks usually felt. My morning ritual is just tone and moisturize (because my skin becomes too dry and flaky when washed again in the morning). I used the toner and cream. I opted not to use any makeup to observe further more. I just topped it off with baby powder. 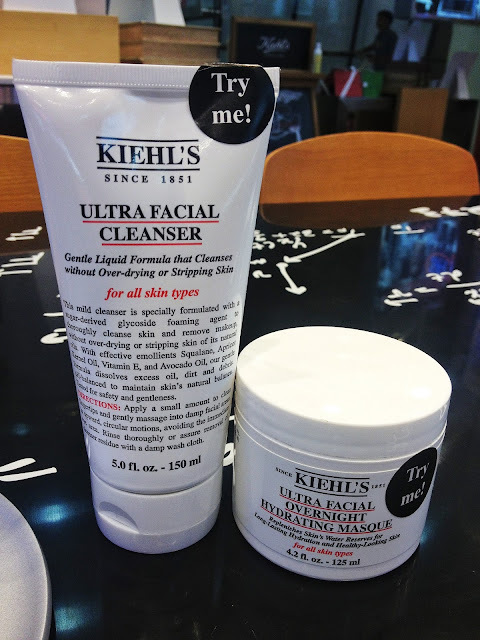 Overall, my first day of using it, my skin felt hydrated (which was unusual specially this cold and rainy season). I didn't see dry patches, and my face didn't feel oily at the end of the afternoon. I only did one touch-up with powder by lunchtime just because I looked pale. I will update my experience as soon as I finished the samples I got. I have finished almost all of the samples (except for the mask). I noticed a huge difference in my skin quality (no pictures to compare nga lang). My skin feels hydrated all throughout the day, no more dry patches in this cold and rainy weather. Yay! A small amount of product produced the result I was expecting. I think the whole bottle would last me the half the year. If I could work it out on my meager budget, I'd like to include the ultra facial cream in my regime. The cream is easily absorbed by my skin and does not feel sticky nor heavy. If only they have a whitening cream that works the same way as the ultra facial cream, I would be happy (I have uneven and dull skin tone). 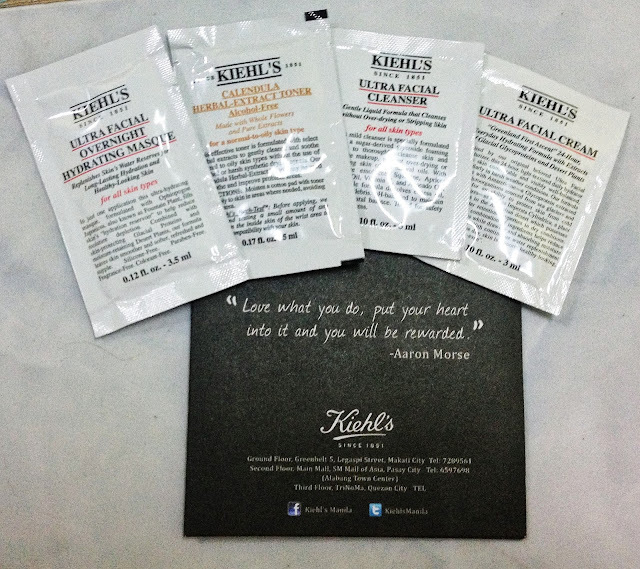 Kiehl's definitely uphold to its reputation with regards to taking care of your skin. An all natural approach is still the best for one's skin.